For The Love of The Run by Tina Plantamura: If You're Not The Fastest, Why Run If You Can't Win? A child asked me, "if you're never going to win, why run in a race?" As a runner, when do you feel like you have won? When I finally ran my first mile straight through, I won. When I surprised myself with a finish time that was better than I expected at my very first 5k race, I won. When I stopped running for fitness and weight loss, and started striving to stay fit so that I could keep running, I won. When I started to enjoy watching others accomplish their own goals involving running, no matter how different their goals are from mine, I won. When I met unique, intelligent, inspiring, uplifting people at races and group runs, I won. And the best part of this type of winning, is that I can win over and over again. Every time it feels like the first time. So if you think you're a slow runner, consider looking at all the other ways you've won since you started running. Yep. Very true. Thanks for this. I figure even in a big race, there's only a few people with a real chance to win it, and they probably know who they are. Everyone else is just running against their own goals and their own demons. I like your mindset, "don't run to be fit, be fit so you can run". That is an encouragement to me as I start chronicling my journey to health on the Mile 22 #MyStoryBag Blog. 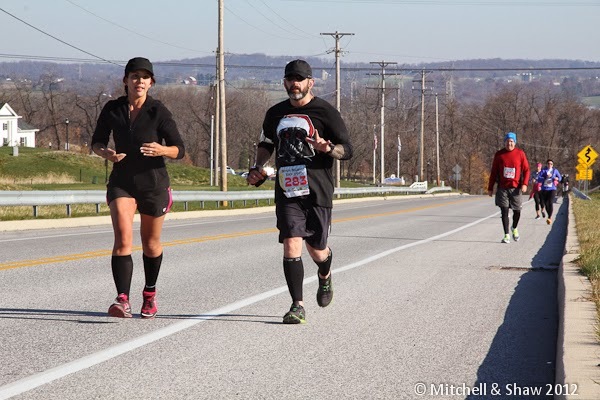 Mile 22 - Carry Your Achievements with You!